Fife and Tayside is rich with all kinds of period film and TV locations. these are of the regency mansions that add to the diverse architecture and landscape of the region. 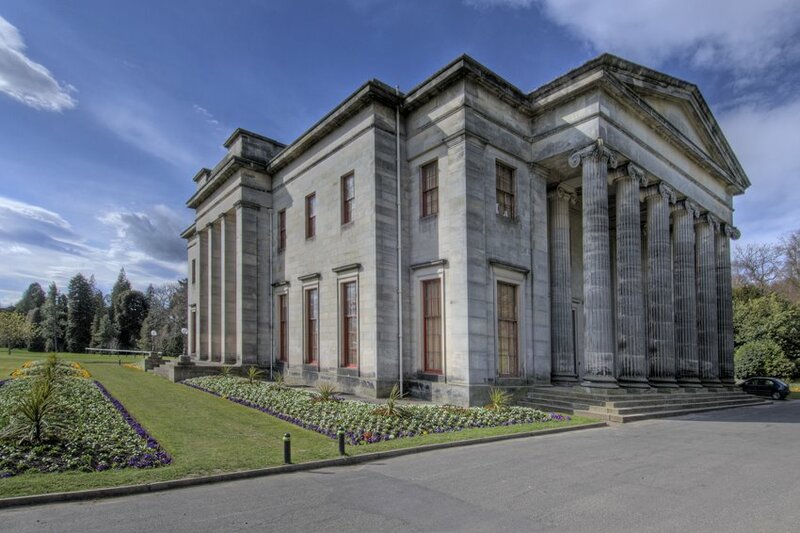 Set in a 400 acre park, it was constructed around 1824 and designed by a leading Edinburgh architect, William Burn. The name is an English version of Kamperduin, a village on the North Sea coast of the Netherlands were the original owner, Admiral Adam Duncan defeated the Dutch fleet in 1797. The roof features a stained glass dome featuring in the centre Admiral Duncan's coat of arms proudly showing his gold medal.